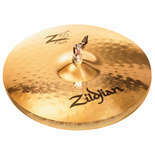 Zildjian Z3 Cymbals feature the ultimate mix of Power, Projection and Playability for your Rock. Hard hitting cymbals as you know them have just changed. 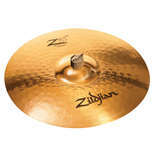 Made from the formable Zildjian 80% copper / 20% tin cast bronze alloy, these Z3 cymbals explode thanks to over-sized bells and large sizes. Ear splitting presence comes from symmetrical hammering and advanced lathing methods for enhanced projection. 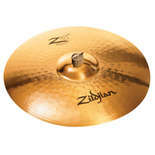 Optimum profiles and thicknesses provide a high level of flex that keeps the Z3 cymbals from feeling like you are hitting a manhole cover. Their brilliant finish provides all the eye candy you are looking for.